Ranch Crew was an excellent opportunity that I was able to take ahold of, but I was not entirely prepared for what all it entailed. When first glancing over the flyer for it I thought that it might be working as a ranch hand for part of the two weeks, but it was not to be. Instead we would be working on a project to collect and analyze data in order to organize into a report that would be utilized by both the private landowners who managed the ranch we were working on and the Bureau of Land Management (BLM) and Natural Resource Conservation Service (NRCS). In the weeks before Ranch Crew would begin, several video conferences were held in order to bring us up to speed on information that would be needed for the project as a whole. 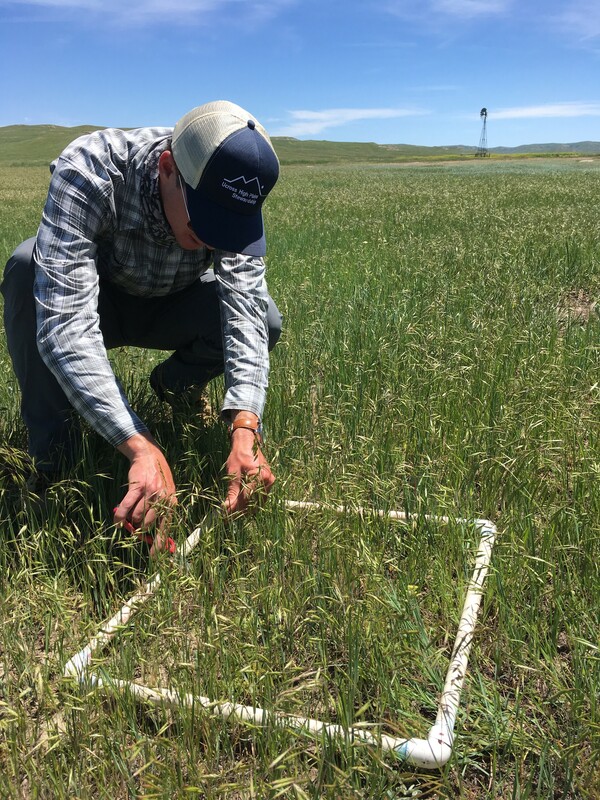 This included background information on the project, which was gathering forage production data, perennial and annual grass cover data, and shrub cover data in an area that burned from a wildfire one year prior. This data would be analyzed for the report, which we ended up splitting into two reports, one for the ranch and one for the government agencies. 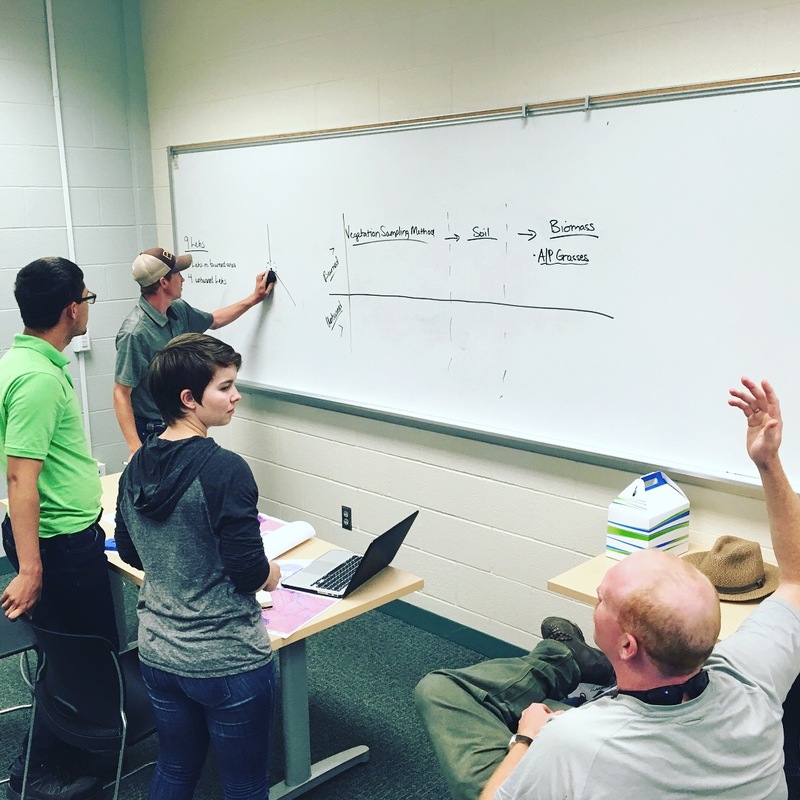 The first week of Ranch Crew was spent learning how to identify plants, the economics of running a ranch, and coming up with a viable way to gather the data in the field. During the first week we also met with the manager of the ranch on which we would be working and were given a tour of part of the ranch. We were shown the hay fields, silages, and the feed lots of the ranch. While on the tour the ranch manager also talked about the many decisions that go into managing a ranch economically and for the betterment of the rangeland. During the weekend in between the two weeks we were able to see the area around Sheridan, which is where we were staying. As a group we all went up to Ranchester to see Tris and Ian Munsick perform and dance the night away. The following week was filled with long days of hard, honest work gathering data and sweating in the heat. In order to battle the heat, one needed to be prepared with copious amounts of water and some Gatorade. Lunches were brought into the field, so one will need to be able to make their own lunch and potentially be able to eat the same lunch several days in a row. Breakfast and dinner were cooked for us as we were housed at an outfitter’s home. Staying with the outfitters was extremely refreshing for me because it was out in the sticks with little enough cell service to forget about the world and enjoy the sunsets. While staying there I also picked up a couple more good habits such as not wearing a hat inside. 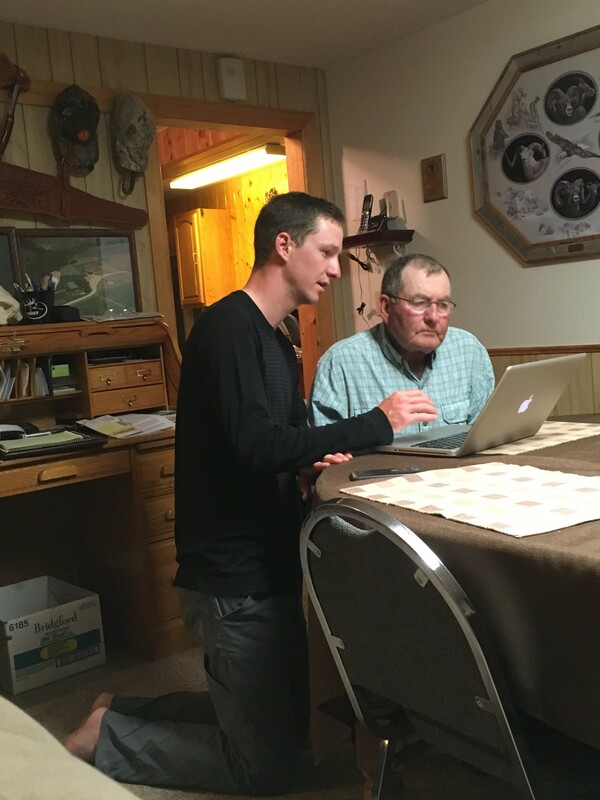 Ranch Crew Student, Reid Lewis, working with the our host to determine best roads to use to get to sampling locations. Big thanks to Grizzly Outfitters and the Benton family. After it all, being unprepared for what all would be done was not a problem as the plan for the project was made by us and the tools and map were shown to us before and along the way to our goal. So, if you are interested or considering Ranch Crew during the summer I recommend that you do it no matter where it is located. This entry was posted in Botany, Fire, Grazing, Mapping, People, Ranch Crew, Ranch Crew 2018, Soil, Wildlife and tagged Caleb Gray. Bookmark the permalink.